After certain age our skin starts showing signs of aging. These signs include fine lines, wrinkles, pigmentation, sagging skin etc. All these signs make your skin look extremely dull , old and lifeless. 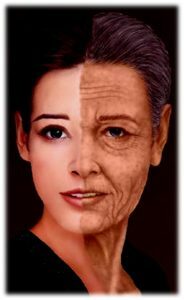 Intrinsic aging reflects the genetic background of an individual and results due to passage of time. Facelift is a very popular treatment done for unwanted expression lines. Fillers are made up of substance called Hyaluronic acid which naturally occurs in our body making it nonpermanent and biodegradable and very safe. These used to restore volume loss due to the natural process of ageing. They give very natural results. The treatment is very effective and gives natural Results which is seen instantly and lasts for one year to 16 months.